The 20th anniversary of the death of John Arlott passed this week almost unmarked in the media, with the notable exception of a late-night programme hidden away on BBC4 on Wednesday night. Originally made in 1984 as three programmes, John Arlott in conversation with Mike Brearley struck an extraordinarily melancholic tone, and not just because of the dewy-eyed mood of the finest sports commentator we have ever been fortunate to hear. This was a programme from a bygone era: filmed seemingly with a single camera in Arlott’s comfortable house on his retirement home of Alderney, glass of beaujolais in hand, it was part Parkinson, part Face to Face. Brearley, the psychoanalyst’s skills to the fore, probed gently, with a kind smile and a brief prompting enquiry, and Arlott was allowed to roam over the subject of his lifetime, unrushed and uninterrupted. It was a delight to watch, if at sometimes almost painful. Arlott, by this time 70 years old, looked how you imagine Tony Hancock might appear had he allowed himself to age: the sad, baggy, hang-dog eyes, the eyebrows slightly out of control, the thoughtful pauses full of meaning. 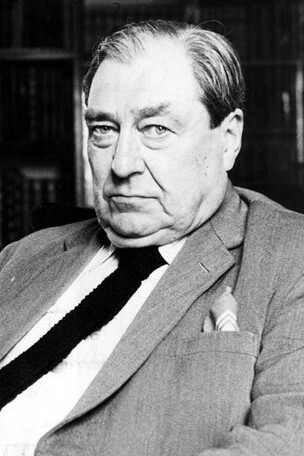 Yet when the poet, politician and journalist reminisced about his childhood in Hampshire, and how his mother had lived in an age when there had been no television, no motor car, no radio, you realised that Arlott could almost be a character straight out of the pages of a Thomas Hardy novel. There were certainly enough tragedies in his life to provide a chapter or three for the master story-teller. The programme’s delights include a truly conversational banter over Australians, their attitudes to losing, Sydney taxi drivers and how Rodney Marsh might not be quite so bad after all (this before the former Test wicket-keeper did so much good work with the England academy that laid foundations of the national team’s current status). There was fascinating insight, too, to Arlott’s commentary process, and how this affected his writing when Guardian cricket correspondent. Fittingly so soon after the recent death of Basil D’Oliveira, there was also a first-hand account of how Arlott helped to bring the cricketer to Worcestershire and so set in train a series of events which would lead to the sporting boycott of South Africa and, ultimately, the downfall of apartheid. That, though, was a landmark event which post-dated this television snapshot. Arlott’s freelancer’s instinct never to turn down work or take a holiday will chime with many journalist viewers. But it was in one of the briefer sequences – curtailed, you sense, because of Arlott’s reluctance to speak about it – when he touched on the death of his first son when, all so briefly, there was a sense of the deep guilt and pain that lay behind his demeanour. Arlott had bought the car in which his son, Jim, died, aged 21, on New Year’s Eve 1965. Arlott would only ever wear black ties for the rest of his life. One footnote to this broadcast is that the exec producer on the original series was Adrian Metcalfe, the Olympic relay medallist and founding head of sport at Channel 4. And SJA member. Metcalfe recently moved to a residential home in Winchester. Hopefully he got a chance to watch again this edit of the original programmes: he is entitled to feel very proud of his part in this excellent piece of work. You can catch up with John Arlott in conversation with Mike Brearley on BBC iPlayer by clicking here. It is unclear how long the programme will be available – often it is for no more than seven days. Make sure you don’t miss it.